The Board of Directors of the Caribbean Development Bank (CDB) has approved a country strategy for the Republic of Trinidad and Tobago for the period 2017 to 2021. The strategy proposes financial support of USD436.7 million from CDB. “This strategy underscores CDB’s longstanding commitment to helping Trinidad and Tobago achieve its development priorities," said Dr. Justin Ram, CDB Director of Economics. "It will provide focused support that aims to unlock the country’s potential for economic and social development, improve competitiveness, promote good governance, and drive environmental sustainability," he said. 5. strengthened environmental management supported by safe and resilient infrastructure. Gender equality, as well as energy security and citizen security considerations, will be mainstreamed in CDB’s interventions delivered under the strategy. The programme of assistance takes into account lessons learnt from the previous country strategy (2011-2014), including the need to address institutional implementation capacity and strengthen donor coordination to achieve more meaningful development results. In developing the country strategy, CDB held extensive discussions with officials from the Government of Trinidad and Tobago, as well as other stakeholders and development partners. This dialogue is central to promoting country ownership of the strategy, the CDB says. The approved strategy aligns with CDB’s strategic objectives of supporting inclusive and sustainable growth and development, and promoting good governance. 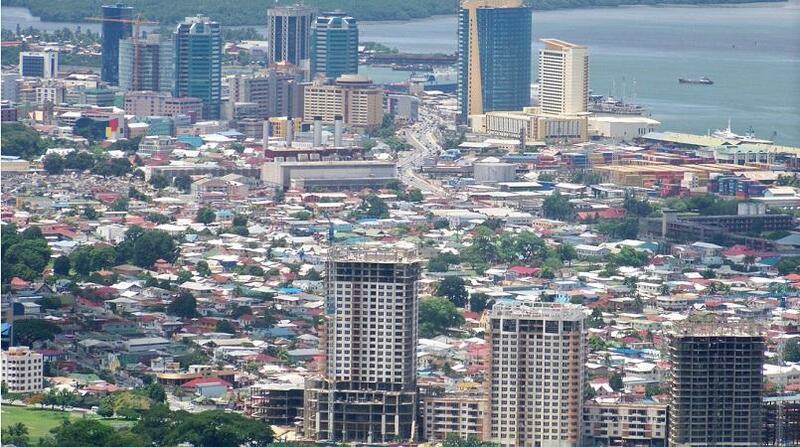 It builds on the Government of Trinidad and Tobago’s National Development Plan Vision 2030. The Caribbean Development Bank The Caribbean Development Bank is a regional financial institution established in 1970 for the purpose of contributing to the harmonious economic growth and development of its Borrowing Member Countries (BMCs). In addition to the 19 BMCs, CDB’s membership includes four regional non-borrowing members – Brazil, Colombia, Mexico and Venezuela and five non-regional, non-borrowing members; i.e., Canada, China, Germany, Italy, and the United Kingdom. CDB’s total assets as at December 31, 2015 are USD2.7 billion (bn). These include USD1.4bn of Ordinary Capital Resources and USD1.3bn of Special Funds. The Bank is rated Aa1 Stable with Moody’s and AA/A-1+ with Standard and Poor’s.